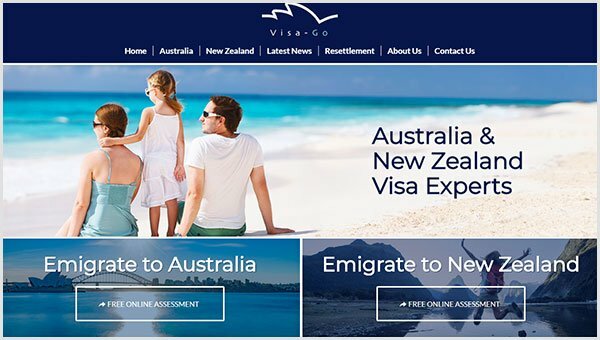 Visa-Go help people with the emigration process to Australia and New Zealand. Darren required a stylish website that encouraged potential clients to take online assessments, directly from the website. This has helped generate new business and streamline the application process!